It’s Thanksgiving Day in the US that most Americans celebrate and considered as a great holiday. This will be my second thanksgiving since I arrived here on 2006. I love the fact that every thanksgiving my family in the US gather together to celebrate and have fun eating hmm.. yum. Today will be a joyful day as a family here in the US but I am a little bit sad when I think about my family in the Philippines. I wish I could celebrate with them this coming holiday! Sad, but its life and my fate is to be relocated in the US with my Babe Dako. 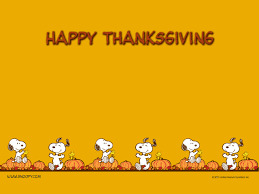 Anyway, I wish you all have a wonderful THANKSGIVING DAY! Enjoy eating the Turkey!